skulls age of about 1000 years. Archaeologists Found the skeletons of 25 people, 13 of which were extended as a result of deformation of the skull. With a light hand of journalists of The Huffington Post and The Daily Mail skulls have already get the name “Mexican alien” by analogy with the well-known film Ridley Scott. Archaeologists still do not know what social class were buried. It is not clear why some of them had a decoration, while others do not. Moreover, in the group of 25 people was only one woman, as well as scientists consider it not quite ordinary. South American cultures such as the Maya and Inca practiced cranial deformation – and the practice was also known in Germany and Ancient Greece. 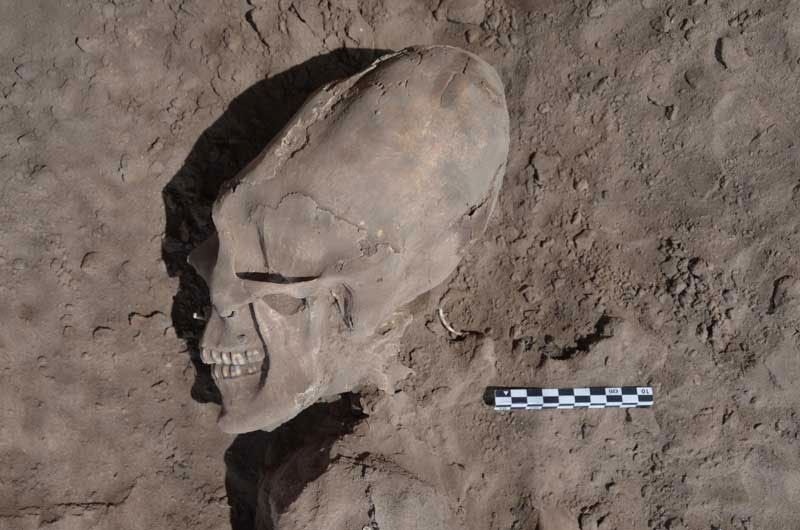 The new find is unique in the region – although such elongated skulls have been found at numerous sites throughout south America.